Now you can use Tricaster to stream the Live events from all over the world on RevMediaTV. Video professionals, broadcasters, and organizations looking to stream video online, produce live events, and expand production capabilities have found that the world of video production is evolving. 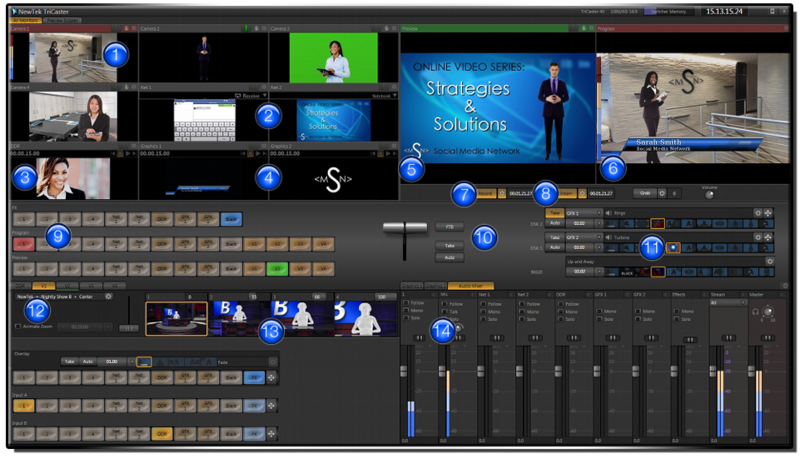 With more viewers watching online than ever before—and appetites for quality programming on the rise—you need to stand out, and look outstanding, too.TriCaster is the affordable, integrated solution to produce your 4-camera, 14-channel, HD live show with maximum creative firepower—but with minimal proportions. Designed for mobility and scaled for small spaces anywhere, TriCaster provides rapid setup, complete live production capabilities, built-in multi-track ISO recording, and the world’s most powerful switcher effects system, for smaller shows to make the biggest impact from any location.